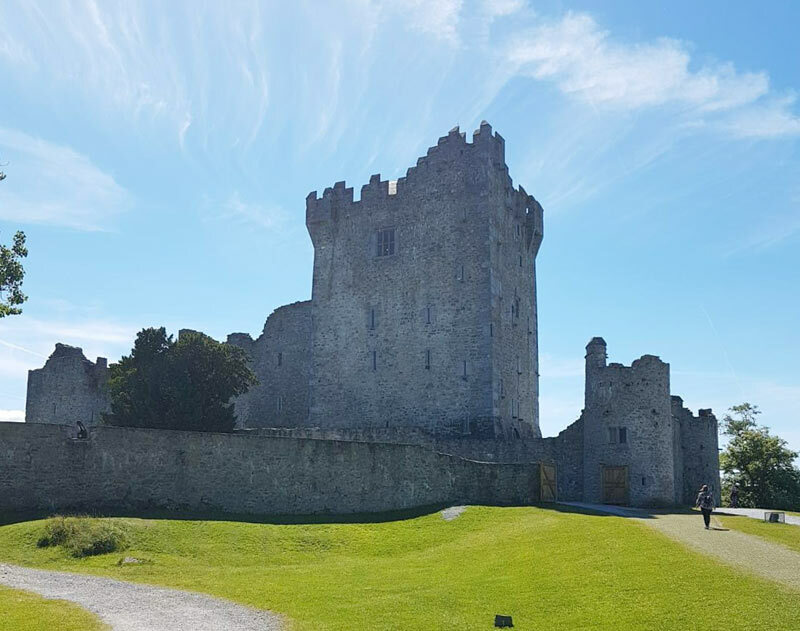 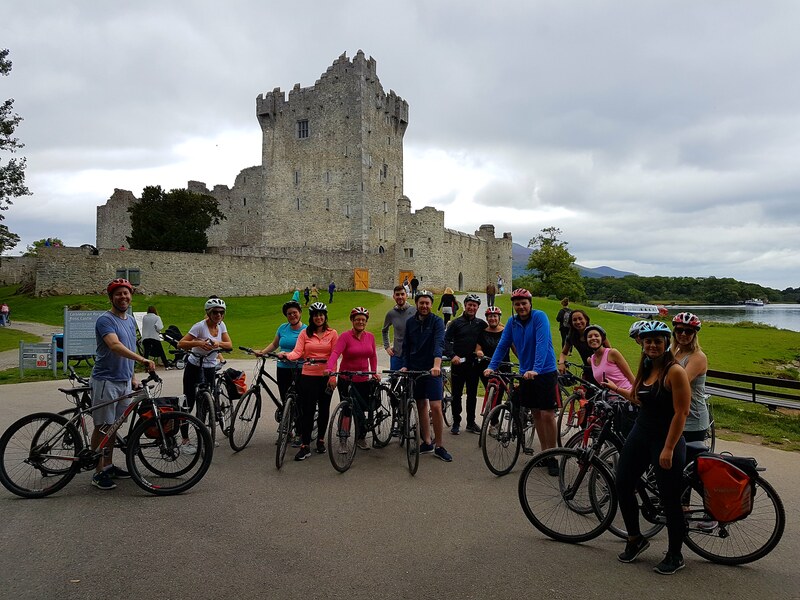 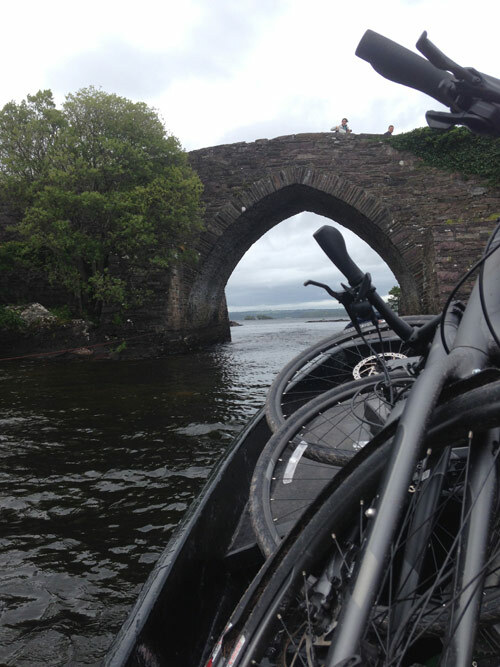 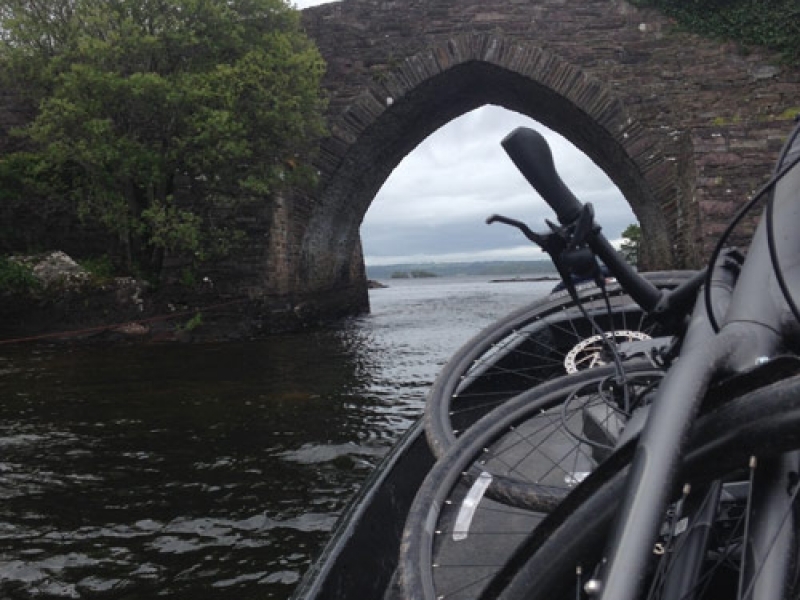 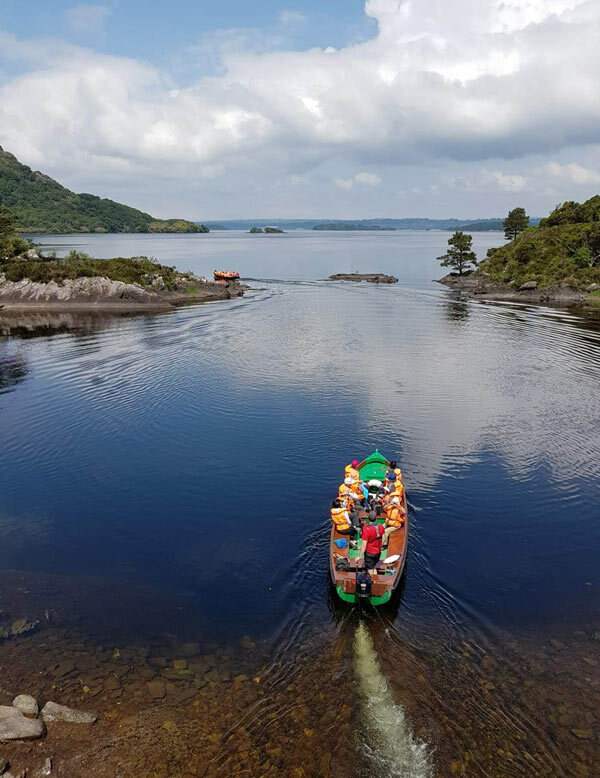 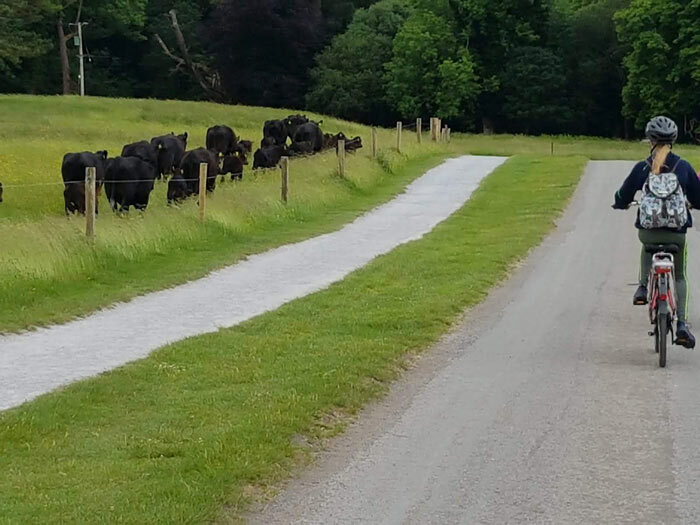 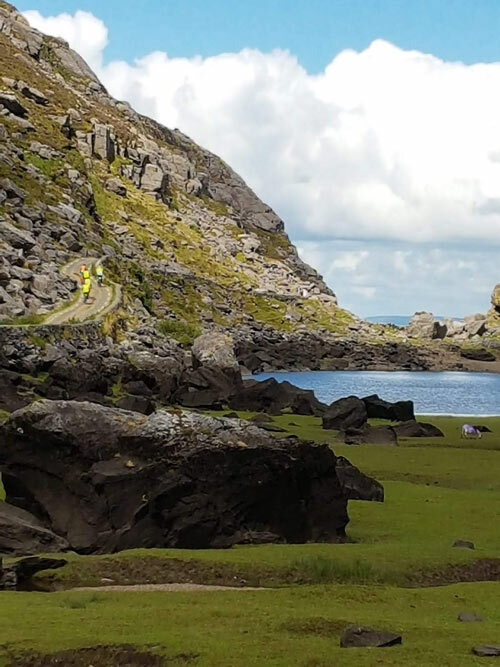 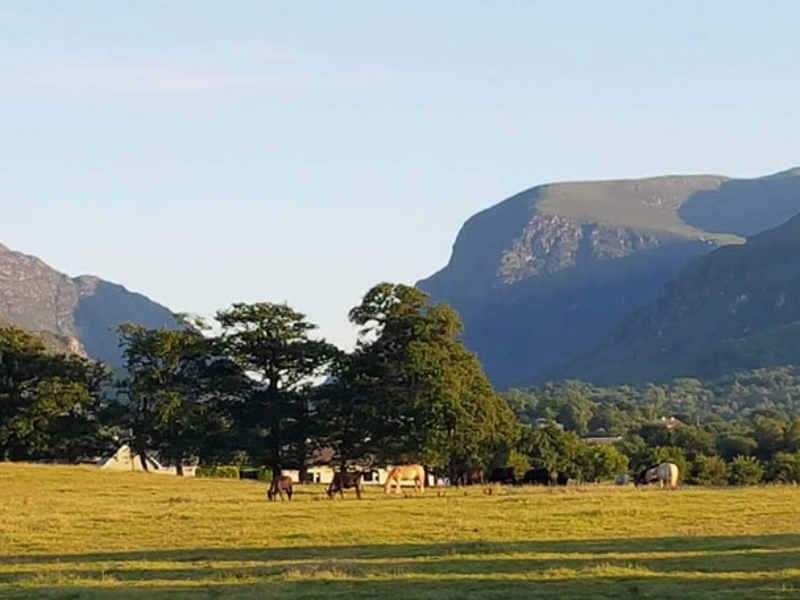 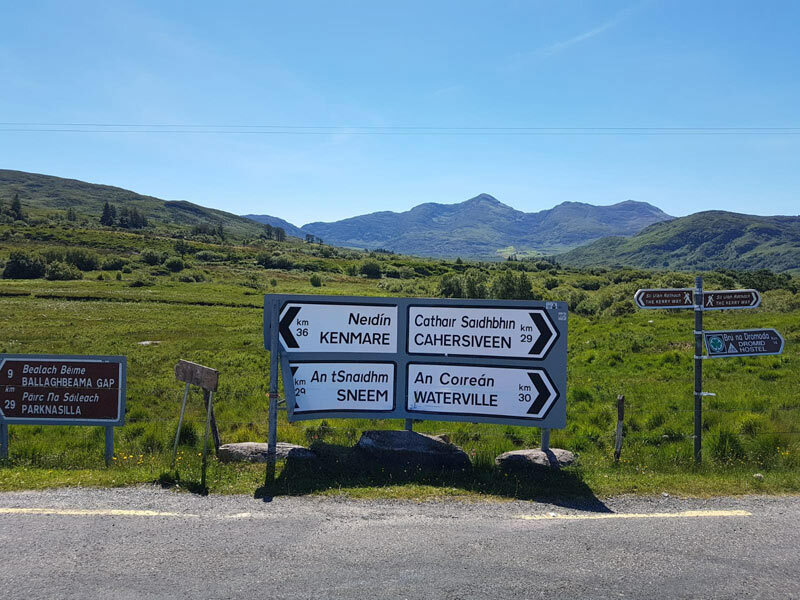 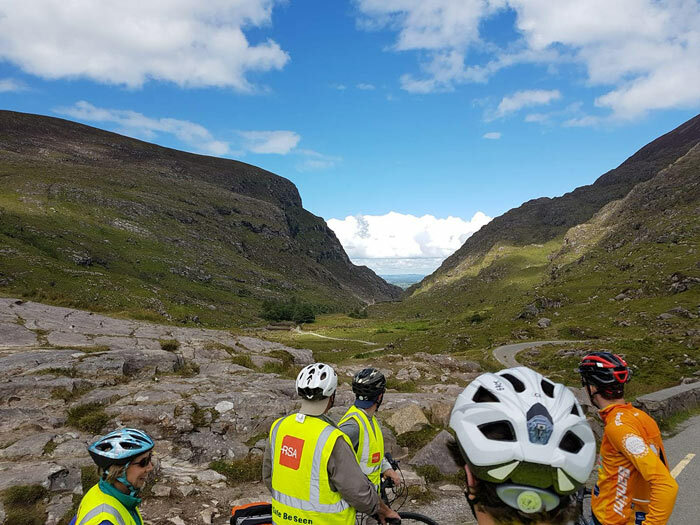 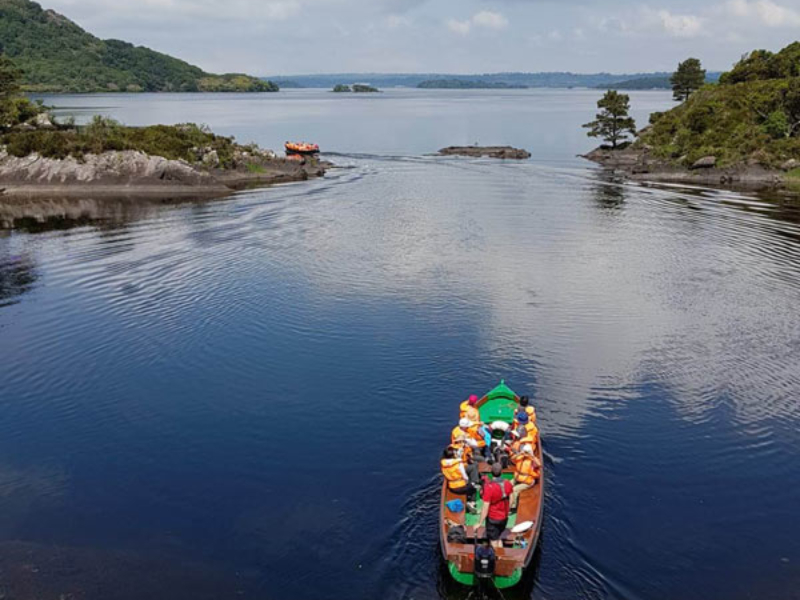 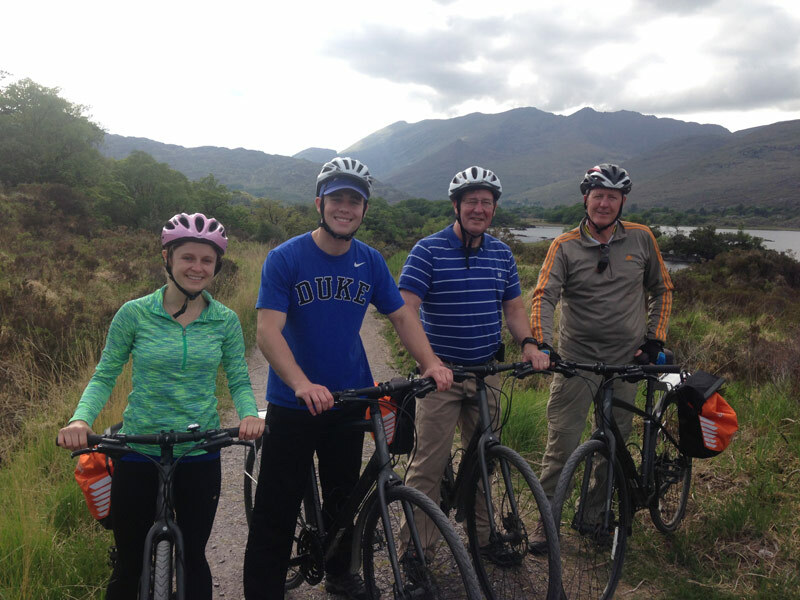 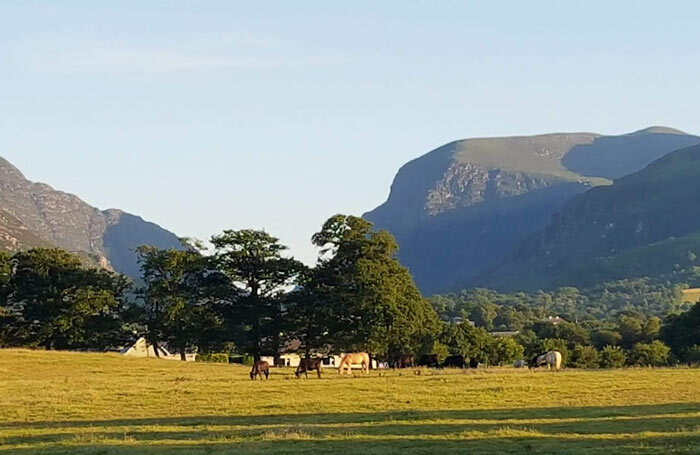 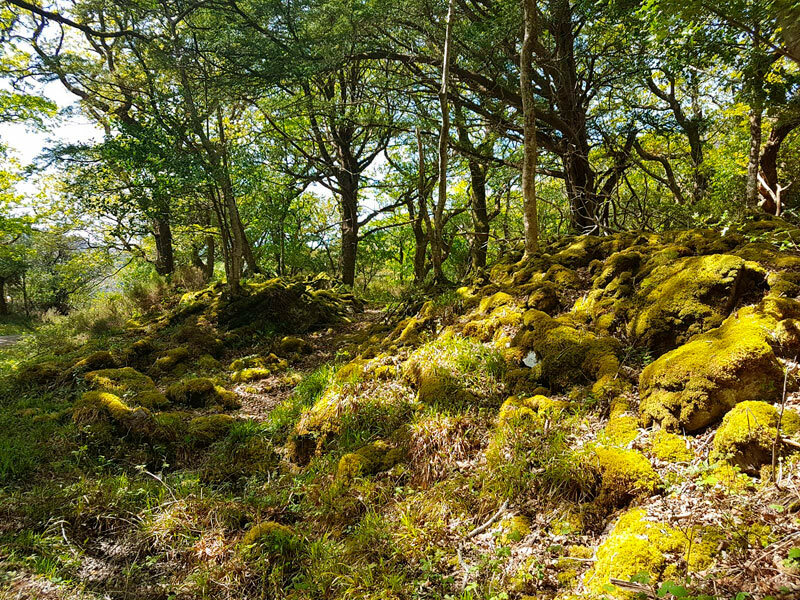 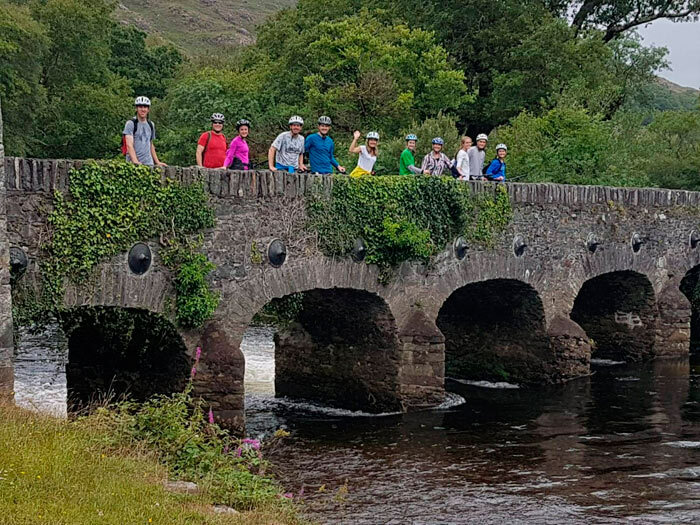 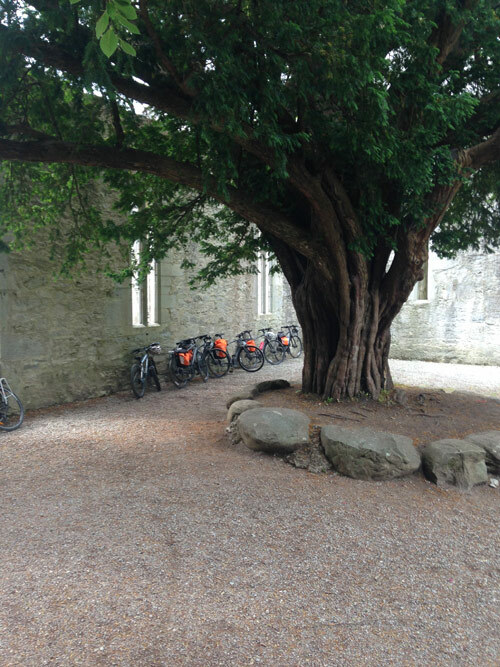 “My family loved biking around Killarney National Park and surrounding area with Padraig. 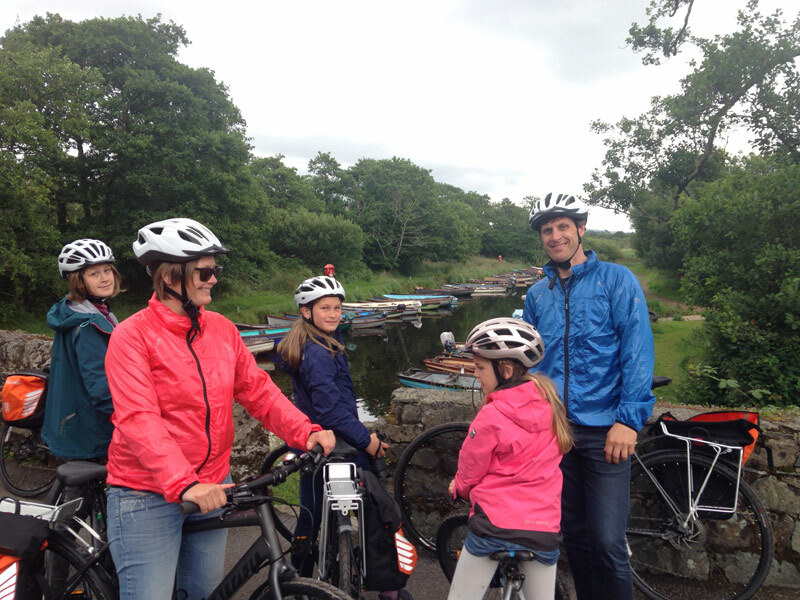 My wife, 8 year old daughter and I wish we could have stayed longer to bike other areas as well. 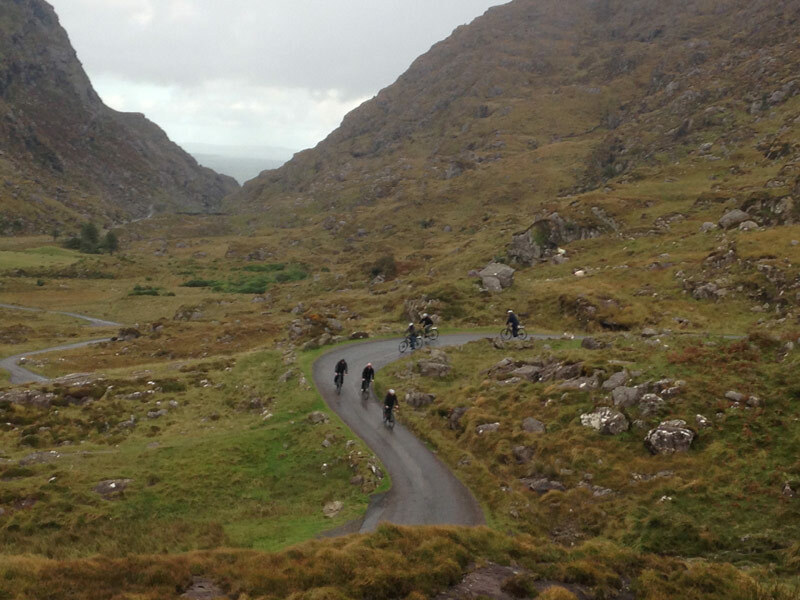 Ireland is amazing. 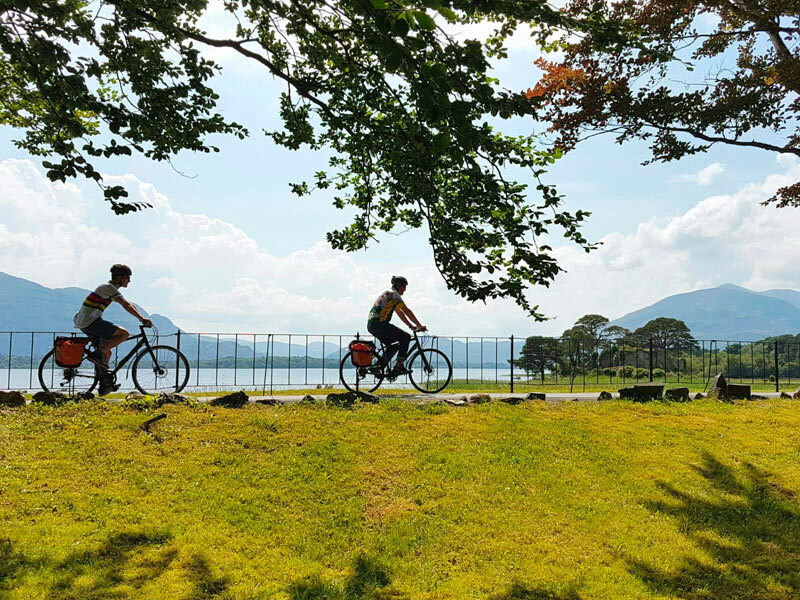 We enjoy a good relaxing 10 mile family bike ride on an almost weekly basis at home, and have found that biking is the best way to tour a new area. 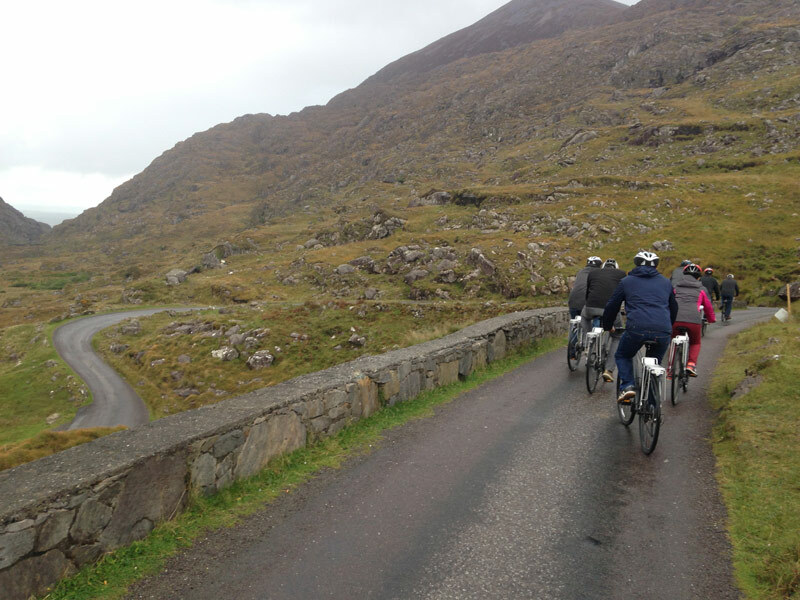 We are not superfit bikers by any means, but we are comfortable on a bike for a good half day (8 to 15 miles). 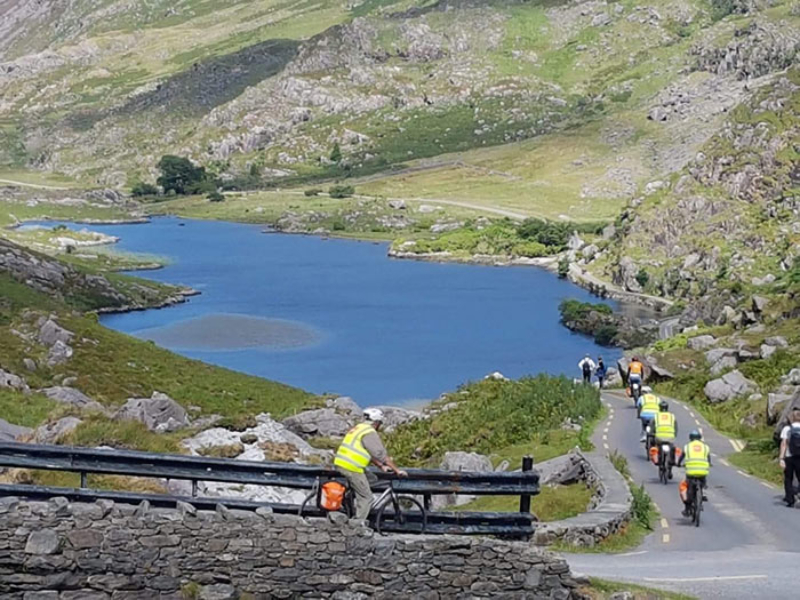 We emailed Padraig and co through their Green Road Cycle Tours website with a few questions, and we heard back within an hour or so. 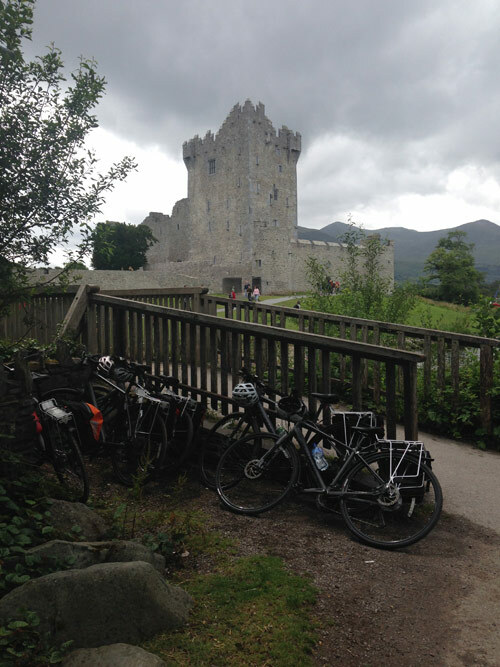 We corresponded a few times, they always showed concern for tailoring a comfortable ride for daughter, and settled on an itinerary. 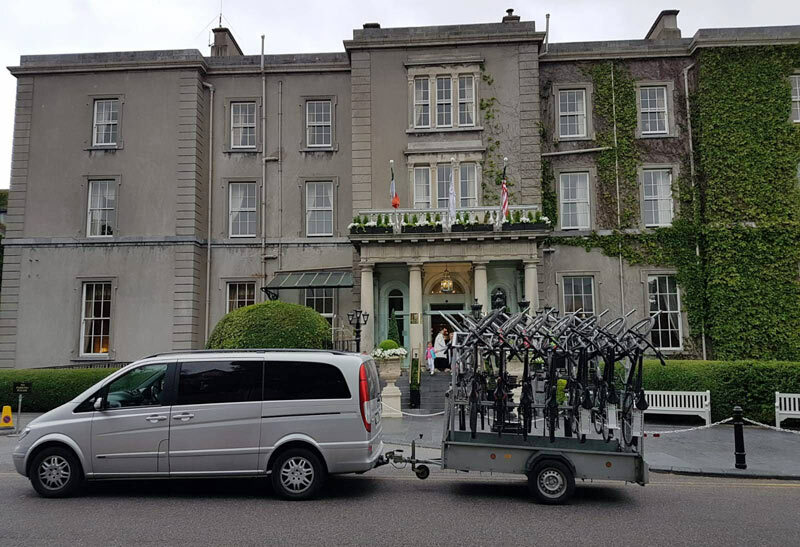 Padraig picked us up right on time directly in front of our hotel. 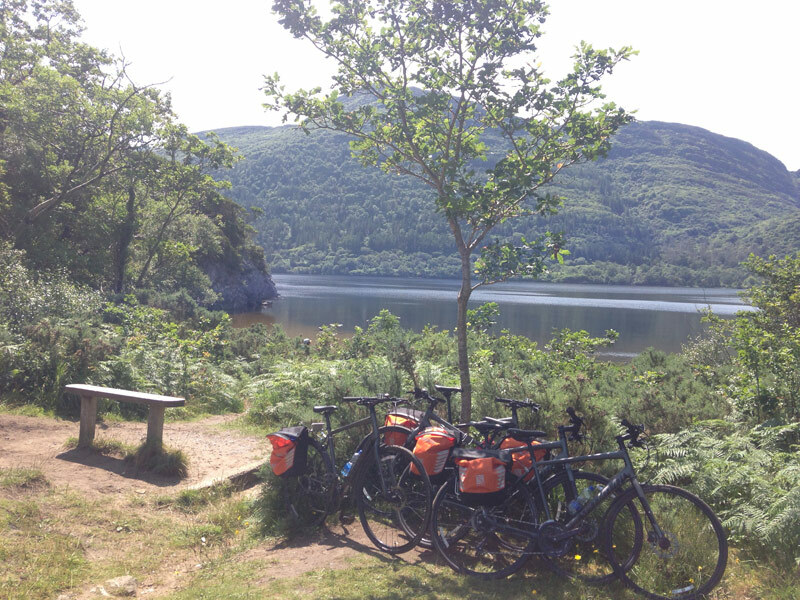 He drove us to a scenic point to give us an overlook of the park and our route for the day. 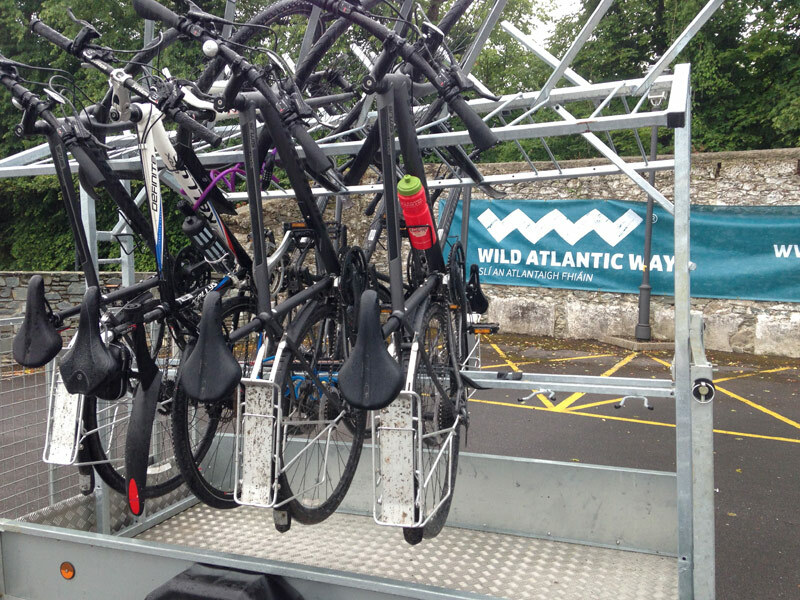 We then geared up for our ride. 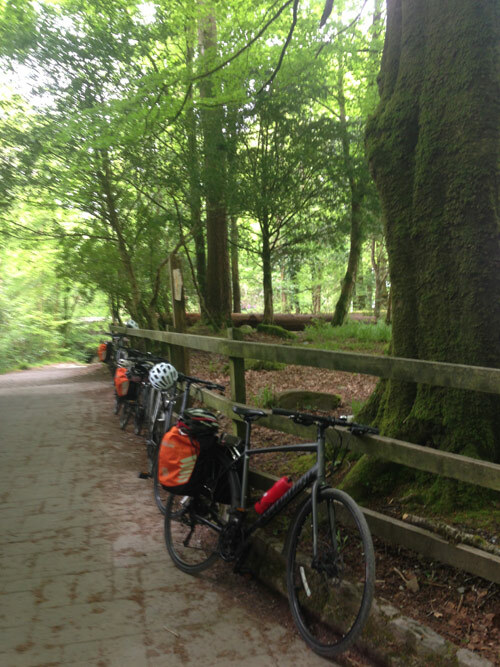 He provided nice bikes (even a perfect sized one for our daughter), helmets, and paniers (saddlebags) for our gear. 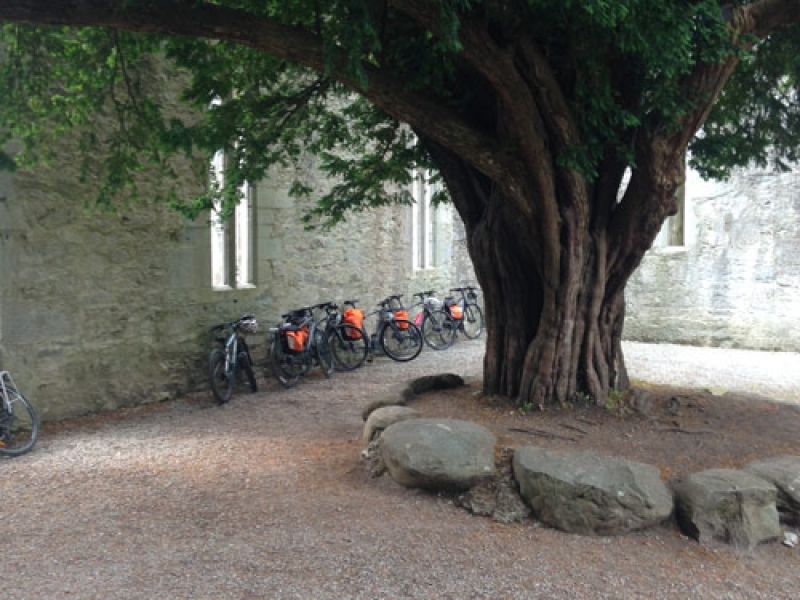 He also supplied water and even apples, bananas, and chocolate for a snack later. 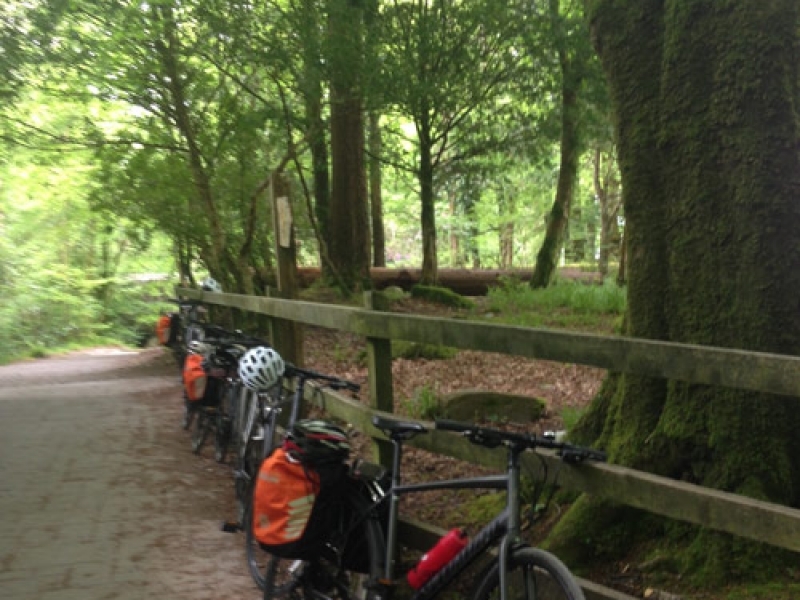 We biked for about 12 miles or so, from about 10:30 to 13:30. 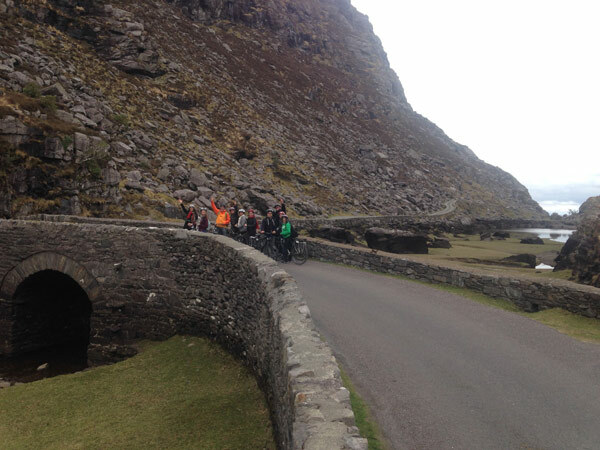 Padraig showed and told us many interesting places/historical facts along the route. 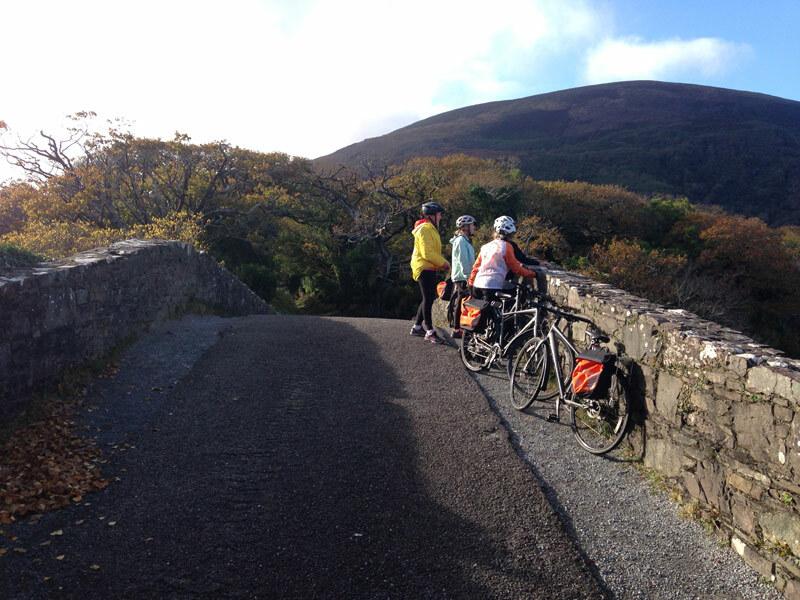 The ride was amazing and the scenery was beautiful. 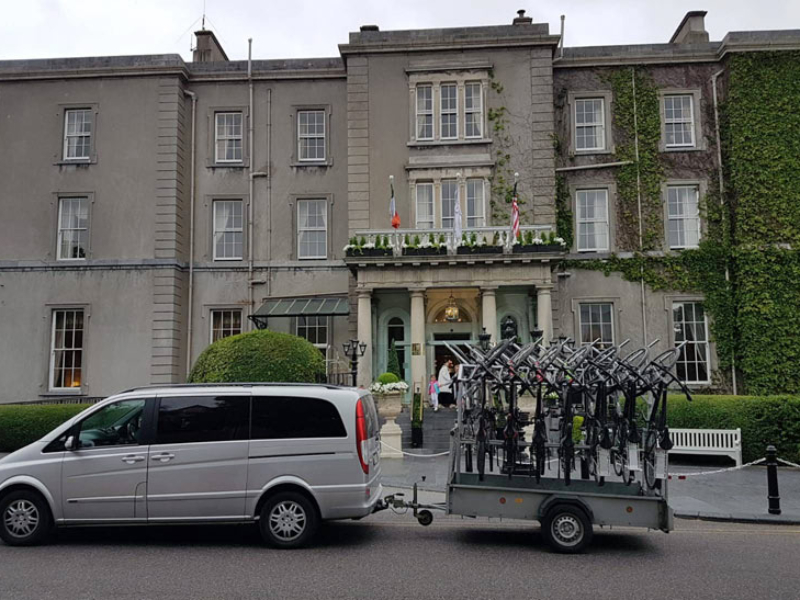 We ended the bike tour at Muckross house, where we grabbed a bite to eat while Padraig rode all the way back to the van and picked us up after lunch. 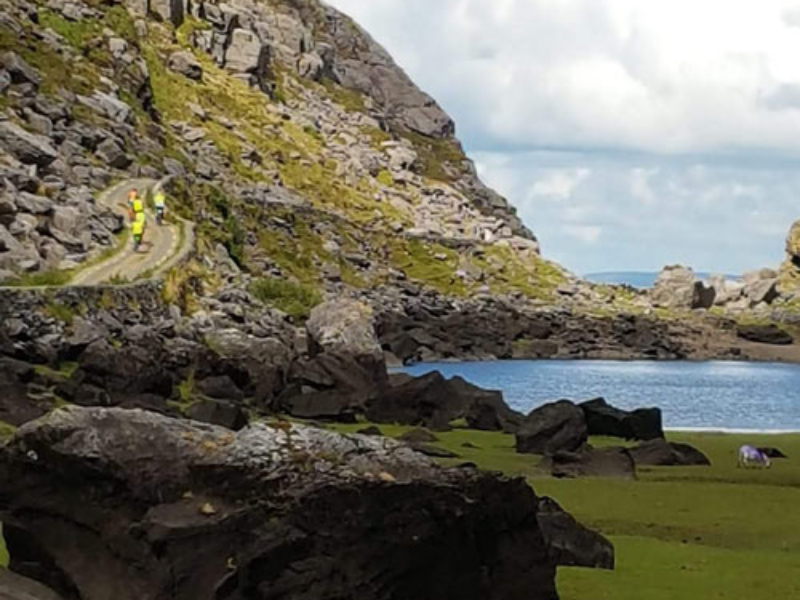 He even drove us around a little more, to show us some other cool spots and gave us tips for our other planned excursions while in Ireland, before he dropped us off at our hotel again.